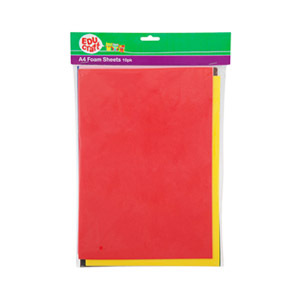 Add colour and dimension to your school and craft projects with EDUcraft Foam Shapes. Easy to cut and extremely flexible, EDUcraft Foam Shapes can be glued to all surfaces using water based glue or a glue gun, it can also be easily sewn together. Available in pre-cut letters and numbers or A4 sheets.